Baby rashes happen. But they don’t need to last. Our company was founded by moms who love babies. We love our babies so much we went to work on a product that can help them too. Now, our babies are happier, yours can be too. Baby Balm is different from other ointments! It’s an all-natural blend of minerals, vitamins, enzymes, essential oils, and other nutrients your baby’s skin craves. 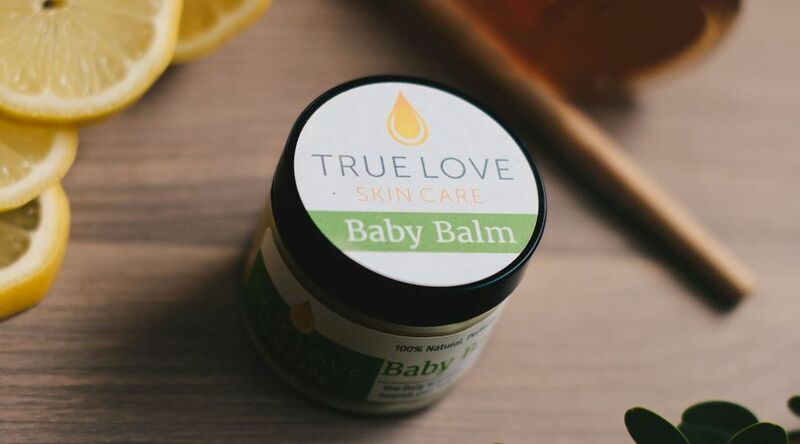 This wonderfully rich and creamy balm naturally nourishes, protects, and soothes; and is terrific for all sorts of rashes babies are bound to get – from diaper rash to heat rash. And even when they don’t have a rash, Baby Balm is a great way to nourish & protect their precious skin and keep it as smooth, supple, and healthy as the day they were born. Apply as needed to baby’s skin. ATTENTION: If your baby has a severe rash with broken skin, we highly recommend also using Soothe along with Baby Balm to prevent the sting that can sometimes happen when essential oils are applied to open wounds. WARNING: Contains raw honey. Don’t allow infants to ingest.